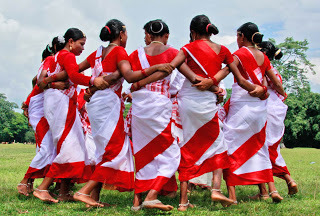 Santhaledisom.com is the first santhal website in providing you everything about santhalis.So keep connected to this site. Watch out ! our gallery updated with pic of shooting Santhali Album of Our team.click here to go to Gallery. click here to download santhali songs. Santhaledisom.com is an Online Publisher of contents related to Santhals. This website was started in 2014 with the soul aim of upbringing contents related to Tradition, Culture, Customs and Literature of Santhal Community by collecting and documenting them in form of our researches and writings, and publishing them on Internet . At present, the website is the largest knowledgebase of Santhal Community available on Internet having more than 100+ Articles, 1000+ Santhali Songs.